Diamonds from Forevermark regularly shine on the style stars of the red carpet. Zendaya, Karlie Kloss, Hailee Steinfeld and Janelle Monae are a few of the many who have sparkled in the gems this year. 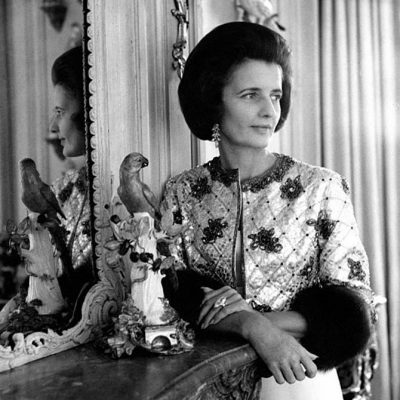 The high-profile glamour, however, is just one part of the Forevermark story. Responsible sourcing and meticulous diamond selection is at the heart of the diamond brand’s narrative. When Forevermark launched in 2008, it was at the forefront of the mine to market movement. 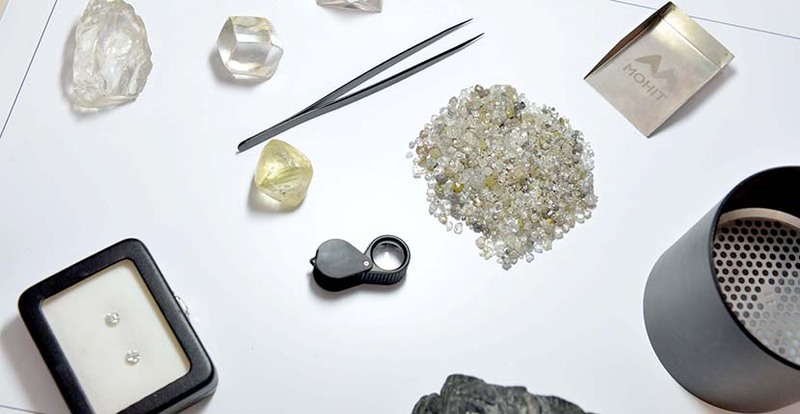 The company’s name is a rather poetic reference to the patented technology used to identify each stone with a unique number and the Forevermark icon. 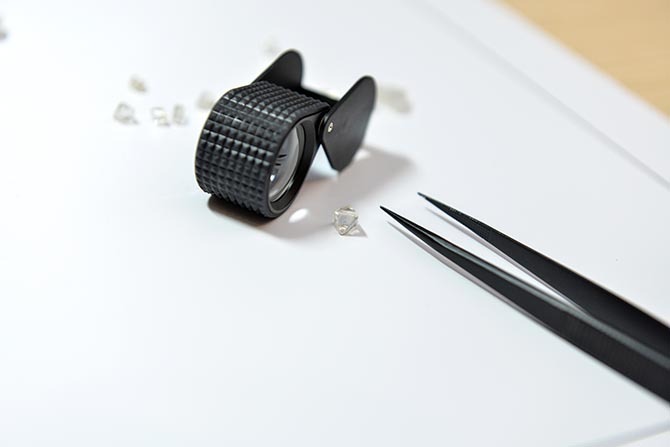 The inscription, that isn’t visible to the naked eye, assures consumers responsible practices were in place during every step of the diamond’s journey. 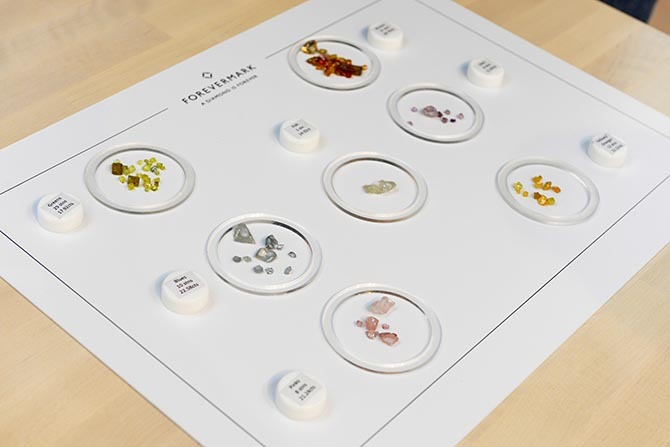 From the beginning, Forevermark has enthusiastically shared the process of how it hand-picks diamonds in a Master Class. The fascinating and fun course has been taught over 500 times in cities around the world. It goes beyond the standard review of a diamond’s characteristics—color, cut, clarity and carat weight—commonly known as the 4Cs. 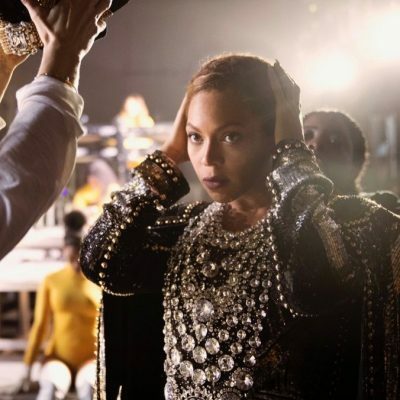 In the Master Class, there are diamonds to examine and photograph for Instagram. There are also demonstrations showing students, among other things, how gem quality stones are selected from an array of rough. 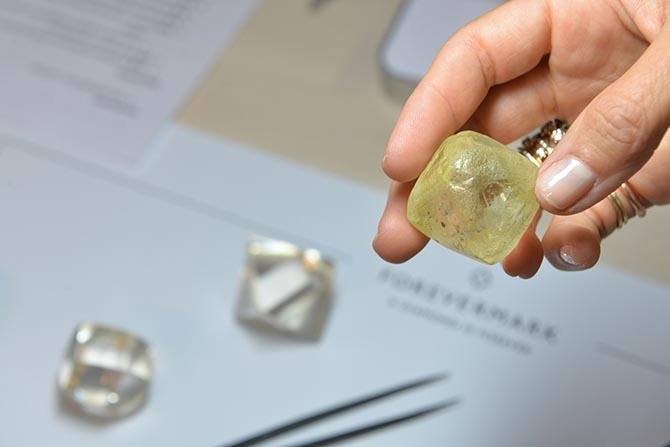 Overall, the Master Class illuminates the rarity of Forevermark gems. Statistically speaking, less than 1% of the world’s diamonds are high enough quality to receive the Forevermark signature. When I had the opportunity to take the class at a studio in New York City, it was taught by none other than Forevermark’s US President, Charles Stanley. He began by giving some history of diamonds. “They were formed deep inside the earth billions of years ago,” Charles explained. “The gems emerged closer to the surface in volcanic eruptions about 4,000 years ago.” When the heat of the explosion cooled down the gems settled into rocks named Kimberlite. The host rock received its name from the Kimberley Mine in South Africa. While diamonds have been worn literally since the dawn of civilization by the ancient Greeks, Charles noted how the modern diamond era began at the end of the nineteenth century with the discovery of the Kimberley Mine. 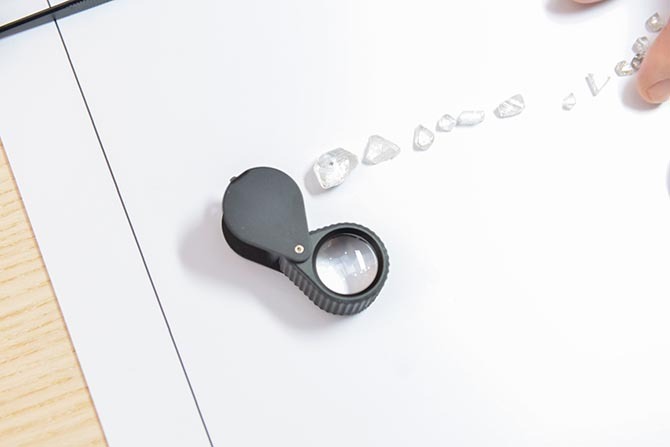 DeBeers, the diamond company that helped to elevate the level and standards of grading among many other things, was established during this period around the mine’s production. 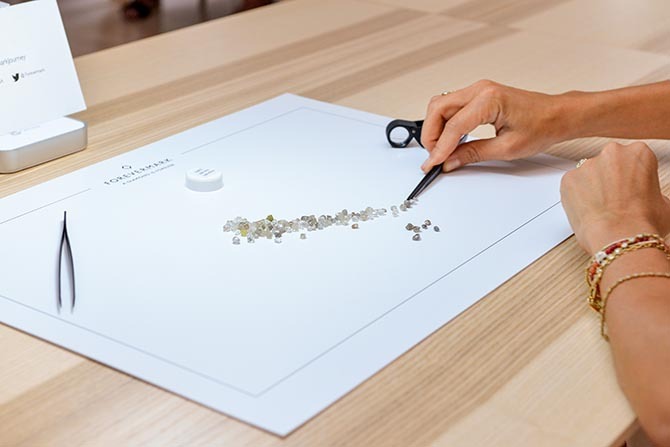 Forevermark is part of the The DeBeers Group today and draws on the firm’s long history of expertise. The next part of the Master Class was reviewing diamonds. Each student had a pile of rough gems to work with and our first task was color grading. 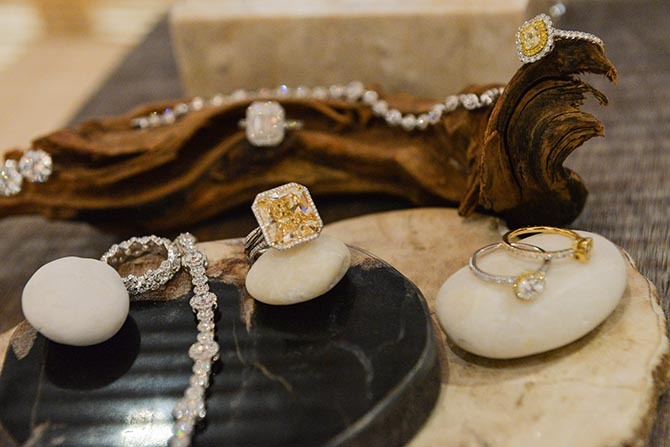 Using our fingers and long tweezers, we placed the stones in a row, beginning with the best colorless gems intended for jewelry down to the darker gems that would be used for industrial purposes. Diamonds come in more colors than the rainbow. 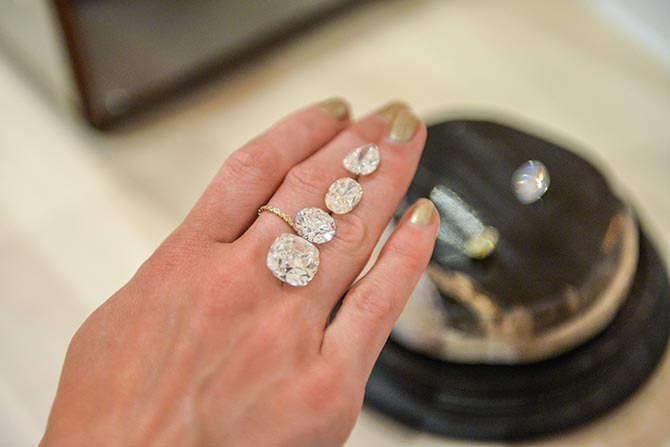 A sweet selection of rare pastel diamonds was on display at the center of the classroom. The breathtaking gems represent some of the most coveted fancy colored diamonds. Identifying what shape the gem quality rough stones would be cut into was the next hands-on project. Charles explained how a rough diamond that looks like two pyramids joined at the base is the most common shape. The technical term for it is an octahedron. It is also referred to as a ‘sawable’ in the diamond trade, because the octahedron is sawn in half to make two round brilliant-cut diamonds. 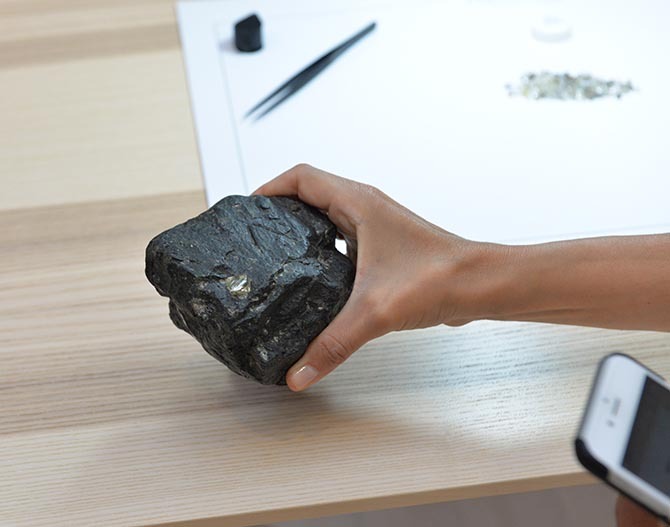 The shape of the other gem quality rough are technically referred to as ‘makeables’ because they can be made directly into a fancy shape gem; there is no sawing required. Any shape other than a round brilliant is considered a fancy shape. 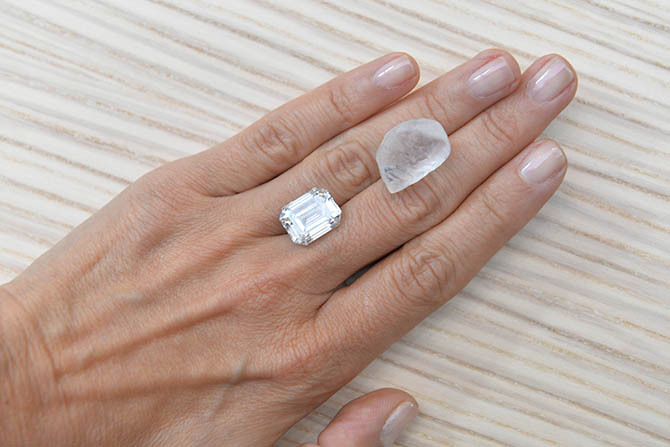 Some popular fancy shapes are ovals, pears and emerald-cuts. Finally, Charles guided us on how to look at the clarity of the stones. We picked up our jeweler’s loupes with a 10x magnification to look closely for flaws or inclusions. At this point, Charles explained how the qualities of a diamond go well beyond a review of the 4Cs. “Every diamond is as individual as a snowflake,” he said. Some less than desirable natural qualities, that cannot be seen with a loupe in the rough gem, are revealed when the stone is cut. Some flaws on a facetted gem are manmade. For example if a lapidary sacrifices brilliance for carat weight, there can be any number of unappealing features in the gem’s shape. 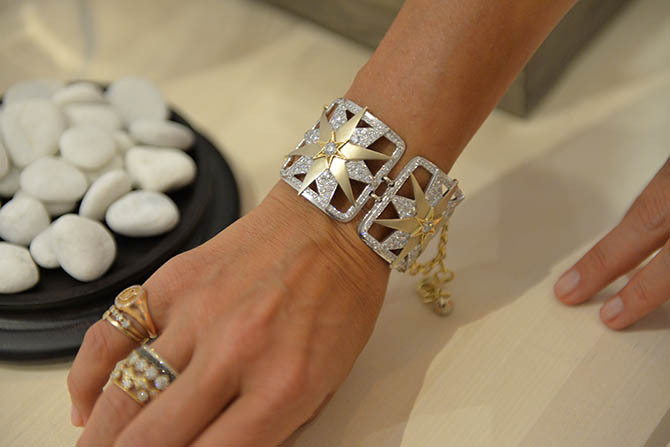 After the course, we were treated to a preview of jewelry featuring Forevermark Diamonds. While the treasures would look spectacular without knowing all I learned in the Master Class my appreciation was definitely heightened after the hands-on review. It also gave me a greater sense of awe for all the spectacular Forevermark diamond jewels that the celebrities wear on the red carpet. An array of jewelry set with Forevermark diamonds on display at the Master Class. Photo by Andrew Werner. All of the photography is by Andrew Werner.